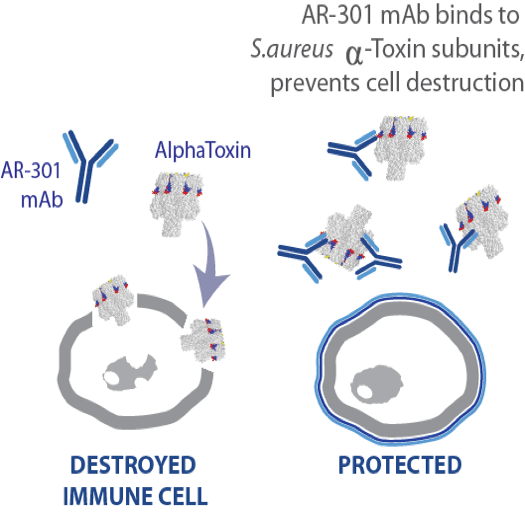 AR-301 (Salvecin®) is a fully human monoclonal IgG1 antibody (mAb) that specifically targets S. aureus alpha-toxin, an important virulence factor that is secreted by both methicillin-resistant S. aureus (MRSA) and methicillin-sensitive S. aureus (MSSA). AR-301 protects against alpha-toxin mediated destruction of host cells, preserving the human immune cells. AR-301’s mode of action is independent of the antibiotic resistance profile of S. aureus and it is active against infections caused by both MRSA and MSSA. Top-line data was recently reported from a double-blinded, placebo-controlled Phase 2a clinical trial conducted across 31 intensive care units in four European countries and the U.S. evaluating the safety, pharmacokinetics, and efficacy of ascending doses of AR-301. AR-301 was tested as an adjunctive therapy to standard of care antibiotics in patients diagnosed with severe hospital-acquired pneumonia (HAP) and ventilator associated pneumonia (VAP) patients caused by S. aureus. Patients treated with AR-301 consistently demonstrated less time spent under mechanical ventilation and higher rates of S. aureus eradication as compared to those treated with antibiotics alone. AR-301 was deemed to be safe and well tolerated, as no serious adverse events were reported in patients receiving AR-301 at all dose levels, and there was no difference in adverse events reported among the groups. AR-301 was granted Fast Track designation by the FDA and orphan drug designation in the European Union. AR-301 is currently being evaluated in a global Phase 3 clinical study. Interim clinical data from this study is expected in late 2019. S. aureus is a leading cause of hospital-acquired lower respiratory tract infections (e.g. pneumonia), bloodstream, skin, soft tissue, and surgical site infections. Treatment of these infections has become more challenging due to the emergence of multi-drug resistant (‘MRSA’) strains. In many developed countries around the world, including the U.S., UK and Japan, resistance to beta-lactam antibiotics in MRSA strains is a major problem in hospitals and other healthcare settings. 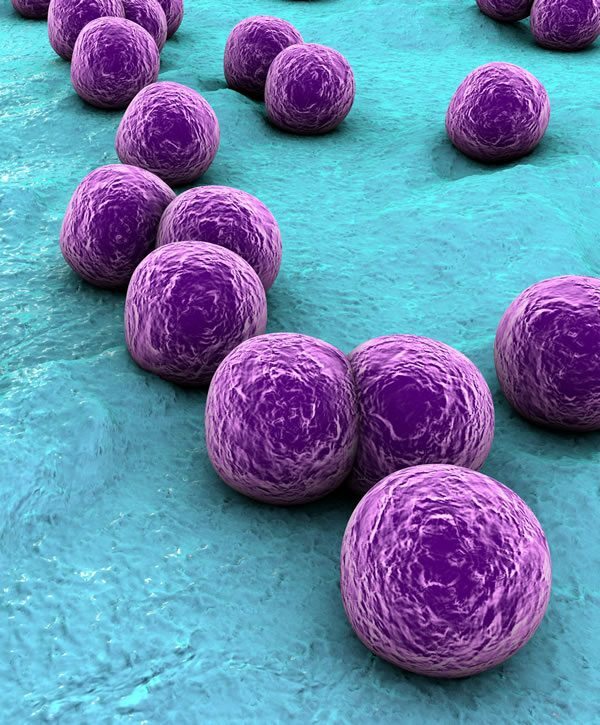 Notably, the incidence rate of all invasive MRSA infections, including those outside of hospitals, is high compared with other bacterial pathogens, with these infections resulting in mortality rates of up to 50%. In spite of preventive measures and various antibiotic treatment options, there is a clear medical need for alternative therapeutic interventions to treat hospital-acquired S. aureus infections. In this context, the use of human monoclonal antibodies (mAb) for passive immunotherapy against S. aureus infections represents a promising new approach to combat the disturbing rise in antibiotic resistance.